Hello there fellow eye glass wearers! If you are anything like me then you know that eye glasses are just as important as any other accessory. Last time I shared these pretty pink tortoise ones from COASTAL and today i’m partnering with them again to share a fashionable pair for fall and how to style them. Fall fashion is all about wearing pieces that make you feel comfortable yet confident. Eye glasses are no different! I want them to feel comfortable on my face and since I’m wearing them through the day I want them to look good with my outfits. Even though my eyes are to the point where I need to wear them the entire day I still have to wear them for reading and driving. I knew that for this fall season I wanted to try something differ but that would still compliment my fall and winter outfits. I ended up picking out this amazing pair in green. When it comes to shopping for glasses Coastal makes it really simple for me to pick out just what I was looking for. Right now they have a buy one get one deal that you don’t want to miss out on! 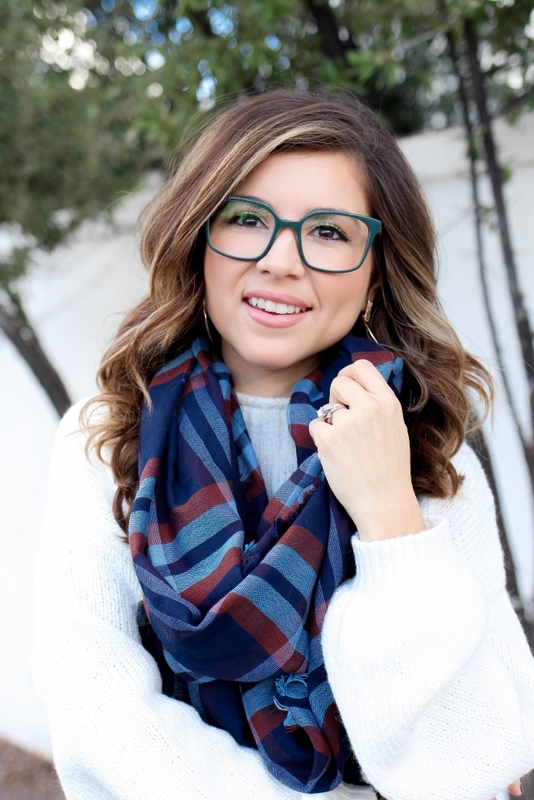 To style and accentuate my glasses I paired them with a few of my favorite fall trends. To really keep the focus on my glasses I started with a fun pair of hoop earrings. Then I of course had to wear some type of plaid so I went with this scarf. I love that by wearing these two things it really makes the glasses pop! You really can’t go wrong when it comes to styling these glasses! Thank you all for stopping buy and reading today’s post. If you haven’t made it over to Coastal to check out their selection of eyewear hop on over! I cant wait to see what you think and how you style your next pair from them! Today’s post is sponsored by Coastal. All thoughts and opinions are my own.